Pitlochry is lucky to be home to a fantastic golf course & driving range. Pitlochry's main course is a 18 hole par 69 course with wonderful view down over Pitlochry and up to Ben Vrackie, the tree lined, 5700 yard course is probably one of the best in the area, with great views and rolling fairways. The Lettoch Link is a 6 hole course, this "wee" course was designed to help you improve your short game and techniques. 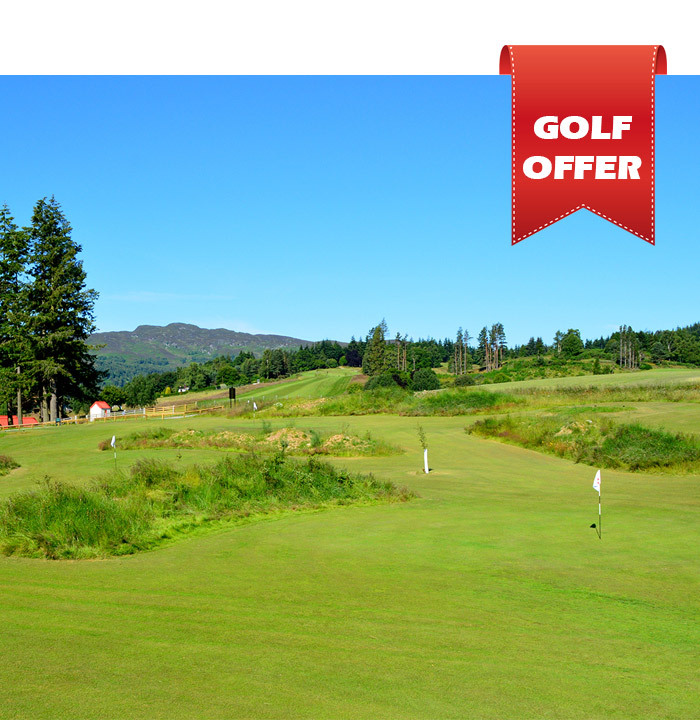 As a guest at Craigvrack, you qualify to take advantage of our fantastic golf discount. If you are staying for one night or more, we can book you in for a round of golf at the wonderful Pitlochry Golf Course.